Many updates are made to improve the user experience. 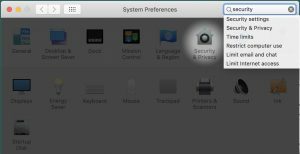 For example, the methods to set Express Keys become easier than the old one. What you need to do is to press the key to map it on a button (we'll introduce it in another article). A gear is offered for you to uninstall the driver with only one gear-click. It also will help to solve most issues that happened in the older drivers. 1) Click the installation package and it will pop out a box like below picture. 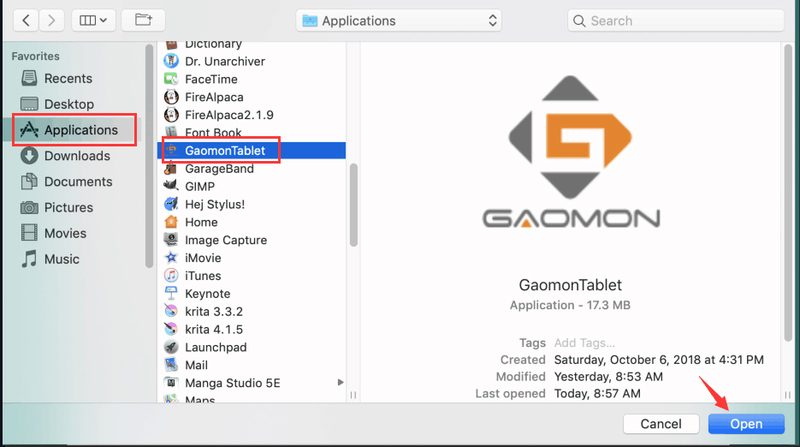 2) Drag GaomonTablet icon upon 'Applications' and hold on for a while until it enters in 'Applications' folder. You would see it is installing. 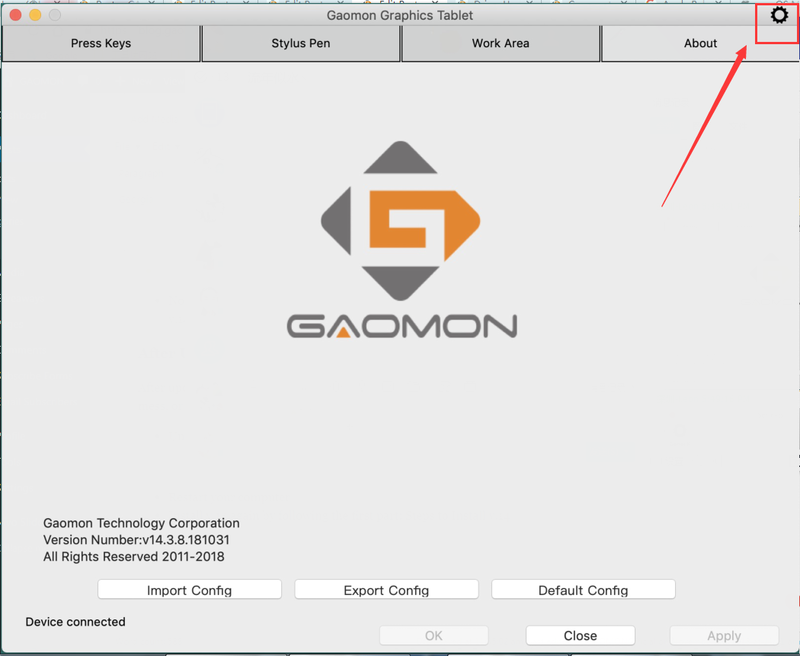 3) Double click 'GaomonTablet' and select 'Open' to run the driver. 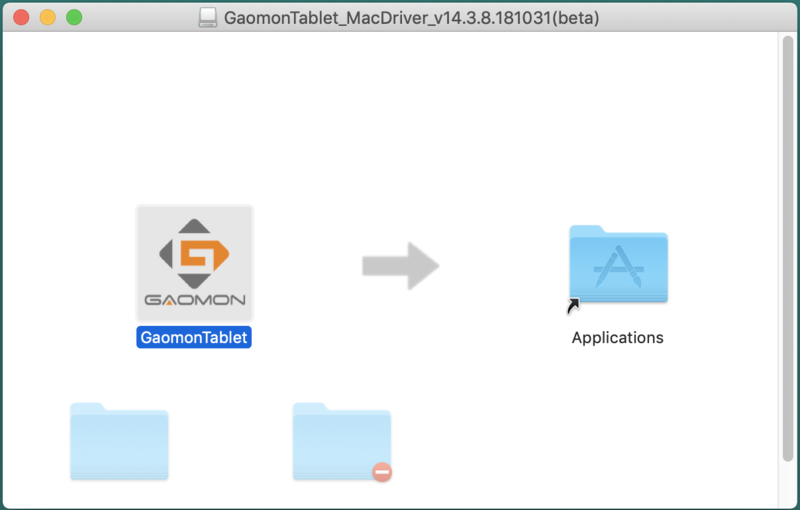 4) Make sure GAOMON driver UI (User Interface) show 'Device connected'. If it showed 'Device disconnected', please try the first method of this topic: ►【How to Fix the 'Device Disconnected' of PD1560?】. 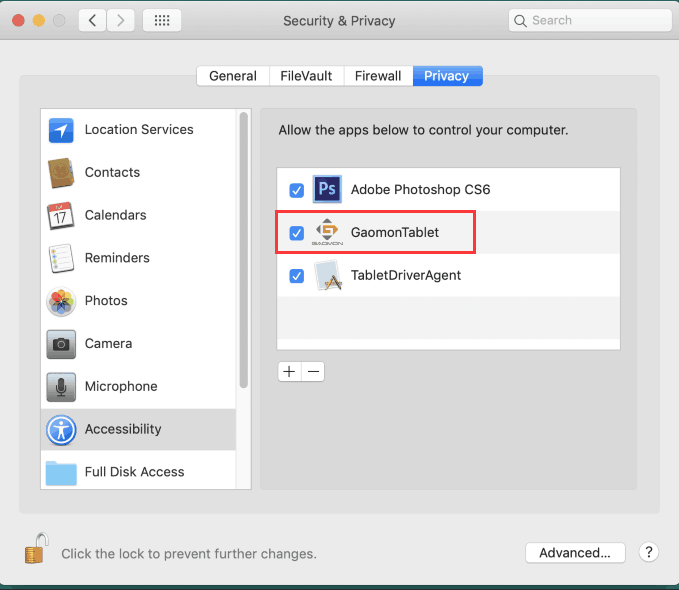 1) Bring out 'Security & Privacy' and put GaomonTablet and TabletDriverAgent into the whitelist of macOS. There are two ways to bring out 'Security & Privacy'. Method 1: Use the stylus nib to draw on the tablet, the window of 'Accessibility Access' might bring out. 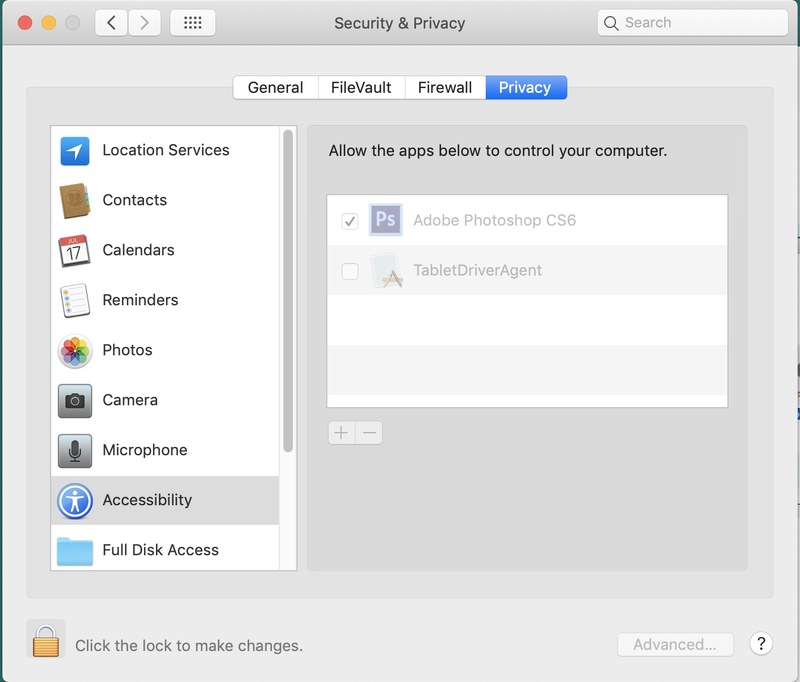 Select 'Open System Preferences', 'Security & Privacy' will show. 2) Now 'Security & Privacy' goes out. 3/ Click '＋' and it will bring out another box. 5) Now GaomonTablet and TabletDriverAgent both in the whitelist. Tick 'GaomonTablet' circled in red and click the lock icon. Now, you've finished installing the new driver, v.14. Enjoy it. 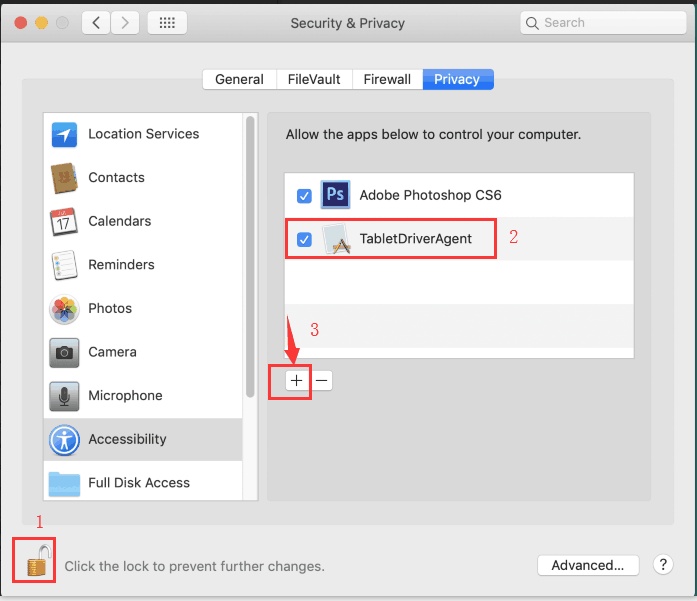 3) Input your Mac account password and wait for it to finish uninstalling. 4) RESTART your computer if a box appeared and reminded as below screenshot. 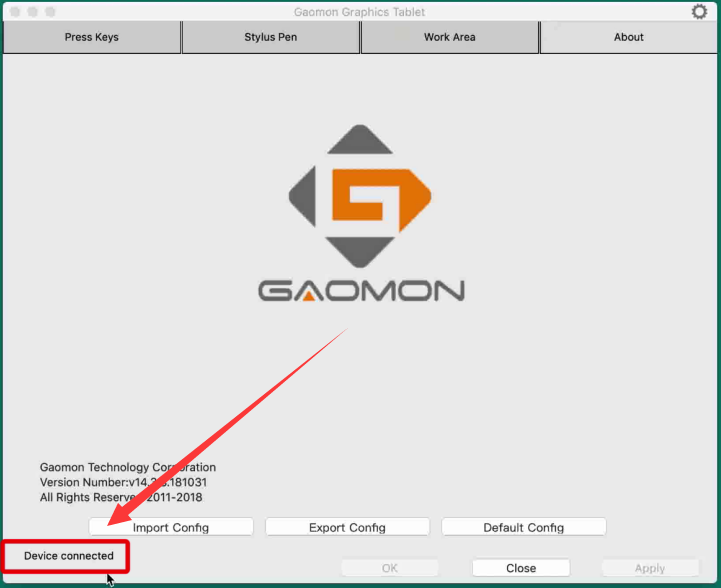 1) Click the gear in the upper right corner in GAOMON driver to Uninstall the v.14. 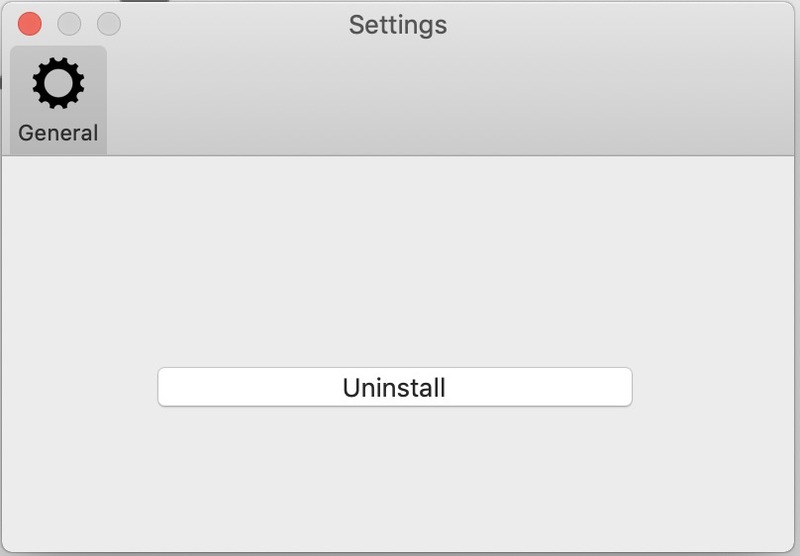 2) Click Uninstall to unload.